Here’s an interpreted event for the Deaf! Let me know ([email protected]) if you’d like to come and I’ll send you an invitation for the 5 PM dinner before the presentation. 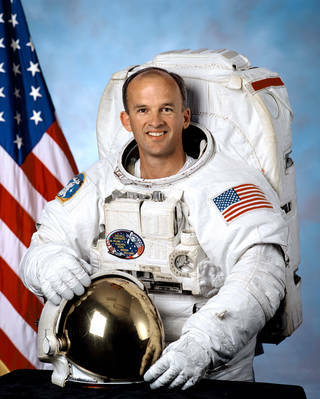 Colonel Jeff Williams, a NASA astronaut, will be coming to Our Redeemer Lutheran Church (7611 Park Ln, Dallas, TX 75225) on February 2 and 3. He plans to speak Saturday evening at 7pm and then again during the Bible class hour (9:30am) on Sunday. These will be two different presentations. For those of you who do not know, Colonel Williams holds the second longest record for days in space. He is also the author of a beautiful book, a collection of photographs he has taken from the space station, along with commentary and connections with Scriptures about the creation, entitled “The Work of His Hands: A View of God’s Creation from Space.” After his presentation on Saturday evening Colonel Williams will sign books. Please plan to attend—it will be a blast!